Adding ADA bleachers with wheelchair and companion access is critical to allow ALL members of a family to attend sporting events. ADA bleachers that meet accessibility guidelines make it easier for ALL family members, regardless of age and ability, to enjoy an event together as a family, from the same area, with the same perspective. But not all aluminum bleachers may be up to speed with the ADA guidelines. That is a definite problem, according to one grandmother from St Louis County in Missouri. She used to go to all of her grandson’s games at their local, large high school. But as time and age have caught up with her, she can no longer attend his games as he closes out his high school sports career. And as you can imagine, she’s not real happy about that. Yes, you ought to, and can. Because you may see your patrons having fun in your bleachers on a regular basis, but it’s the fans that you don’t see that may be most important. What you may not see are those fans that really want to be there but can’t because of accessibility issues with your aluminum bleachers. What about those friends or family members that aren’t there to enjoy the event because they simply can’t access the areas of the bleachers with their friends and family? By adhering and updating to ADA guidelines and recommendations with respect to aluminum bleachers and accessibility, you can make your aluminum bleachers more accessible and inclusive while helping families enjoy special times together instead of apart. Flat areas, including walkways and landings. The bleacher aisles, walking paths, landing areas, and any other potential areas that those in attendance may use while in the movement should be slip resistant and well marked, with a clear line of sight moving forward. While they may be raised like those in elevated bleachers, these areas cannot be a hindrance to viewing or obstruct the line of sight of the surrounding spectators. These walking and transition areas should be wide enough to accommodate all users, including their companions and guides, when necessary. 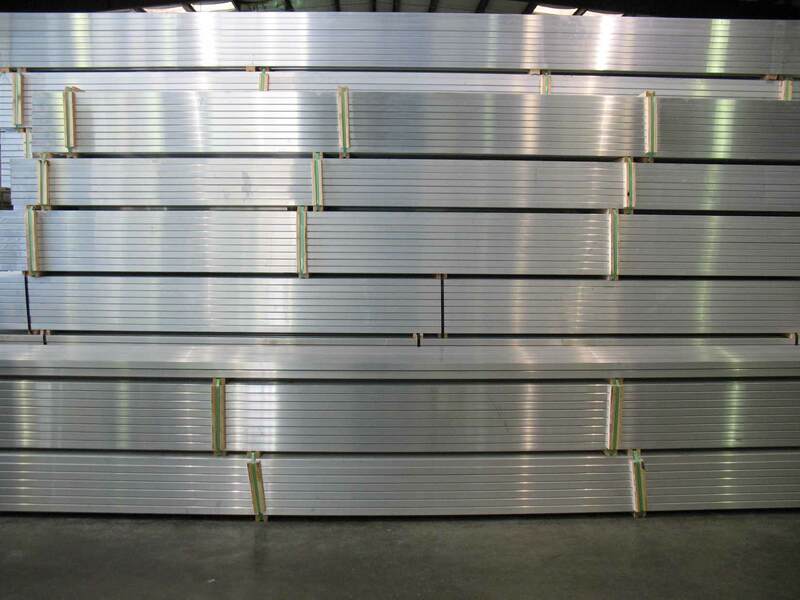 Aluminum bleacher stairways must all be manufactured and constructed to be slip resistant and clearly marked. The ADA recommends that the treads of the bleacher stairs be designed and manufactured with curved, bevel type edges that increase traction while reducing slippage. The surrounding area of the stairway must be constructed to be prosthetic and range of motion-friendly, and must be compatible with the use of crutches, canes, and any other devices used for walking assistance. Railings and hand railings. Railings of any type should take into account the space and reach requirements of both the intended and potential users. Hand railings for stairways are expected to be available for use on both sides of the stairs where possible, allowing the user and if needed, their companion to jointly and safely use the side most suited for their particular needs. Additionally, when a set of stairs serves two separate but adjoining bleacher sections, the handrail should be located in the middle of the stairway, accessible to both sets of bleachers simultaneously. Visual indicators, markers, and notifications. Visual aids can be added in many forms. Sections of bleachers can display contrasting colors to differentiate areas of unique seating options. Bleacher covers are an excellent way to accomplish color contrast or coding. Surface mounted indicators can be installed at the top and bottom of stairways as well as around the perimeter of walkways, stairs, and ramps to indicate entrance and exit points or potential hazard areas. Ramps are integral for the accessibility of wheelchairs, strollers, scooters, or even guides. Accessible ramps should be located at a primary or main entrance point and be manufactured to be slip resistant. The grade and slope of the ramp are mandated by specifications that vary from state to state, so be sure to check your state’s codes. The design of the ramp can include textured edges, protection from any sharp edges, and provide handrail access on both sides of the ramp. All ramps should be wide enough to accommodate side-by-side use of companions and guides, when necessary. Simply put, one percent of total seating is required to be wheelchair seating, including skyboxes and specialty seating areas. Each wheelchair location should be level and easily accessible, accommodating one wheelchair on a smooth, stable, and non-slip surface. Where wheelchair seating locations are present, there must also be a companion seat available. According to the U.S. Department of Justice, whenever more than 300 seats are provided, wheelchair seating locations must be provided in more than one location and integrated throughout all seating areas so as to provide a choice of locations and views, comparable to those offered to the general public. This increases the likelihood of families and friends being able to sit together at the event. If these areas are not sold to capacity as wheelchair approved areas, the venue may use removable or folding seats for patrons. This ensures against revenue loss due to wheelchair spaces, not all being sold for every event. Wheelchair seating locations are to be along direct routes, easily accessible from parking lots, entrances, and along with movement and transportation routes. These paths must also easily connect to public areas, concessions, restrooms, and egress points. Lines of sight for wheelchair seating areas are to be comparable to those of all spectators. In instances where the crowds are known to stand for good portions of the event, those sightlines must extend over a normal standing crowd. Accessibility in relation to ADA bleachers means more than just a place to see the action. Aluminum bleacher accessibility takes into account the entire spectator experience, from the moment of arrival to the time of leaving the venue, and everything in between. By updating your old aluminum bleachers to adhere to ADA accessibility guidelines, you show your patrons that you care. The built-in inclusiveness of these updates and guidelines ensures that families can get together to watch a brother or sister, son or daughter, or even a grandson or granddaughter, together at the same place, with the same sightlines, and same, real-time interaction. ADA bleachers with accessibility for all is about families and togetherness and translates into more spectators and patrons in your bleacher seats. And isn’t that the point of having aluminum bleachers in the first place? 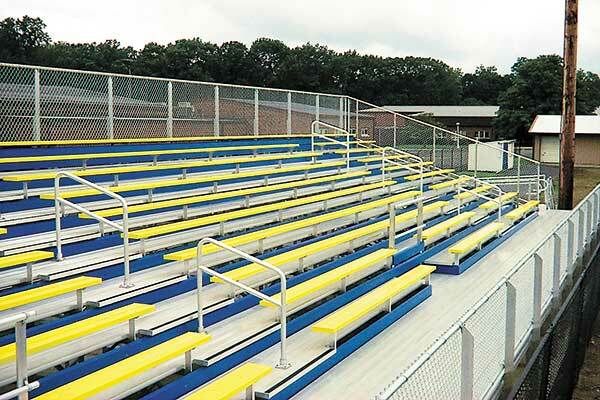 It’s smart to include ADA bleachers in your planning, ahead of time, to avoid issues or necessary additions later on.